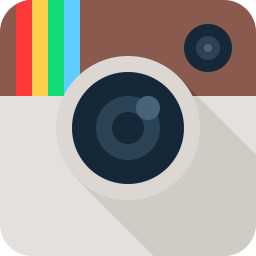 Used correctly, Instagram can be a highly-targeted, visual advertising channel for your brand. In fact, in a recent study it was discovered that Instagram provides brands with 25% more engagement over other social platforms. This mean that Instagram is a prime channel to build your brand for your ecommerce business.Like any social network out there, there are right ways to use it, wrong ways to use it, and clever ways to use it.In this post, we will show you how to most effectively use Instagram to increase engagement and build a massive following. Bonus Guide: Learn the 4 ways you can easily drive engagement and sales to your business using Instagram. Download your copy now. To see a larger list of the top hashtags, check out the popular tag list on Webstagram and Populargram. If you want to tag your photos properly, you’ll need to find and use the most relevant hashtags. This means doing the appropriate keyword research to make sure you’re using the most relevant hashtags that not only describes your brand, but is also being searched for on Instagram. To find relevant hashtags, you’ll want to use a free online program like IconoSquare (formerly Statigram) or Webstagram. Below, I used Webstagram to find relevant, related and popular hashtags for my men’s accessory brand by searching for key hashtags that are closely related to my brand. Protip #1: Here’s a trick that I use for my ecommerce businesses. For every product and product category for my stores, I have done the keyword research to see which are the most popular Instagram hashtags around those product categories. I came up with 15-20 popular hashtags for each category of products I sell, as well as a base of 5-10 popular tags that describe my brand and product offering overall. Finally, I also created a list of popular local specific hashtags that relate to my brand. Populagram – Find popular hashtags, filters and people. Schedugram – Schedule your Instagram post for the most engaging times. IconoSquare – Info, analytics and insights into your account and followers. Webstagram – Find the best hashtags for your posts and people for your sponsored posts.